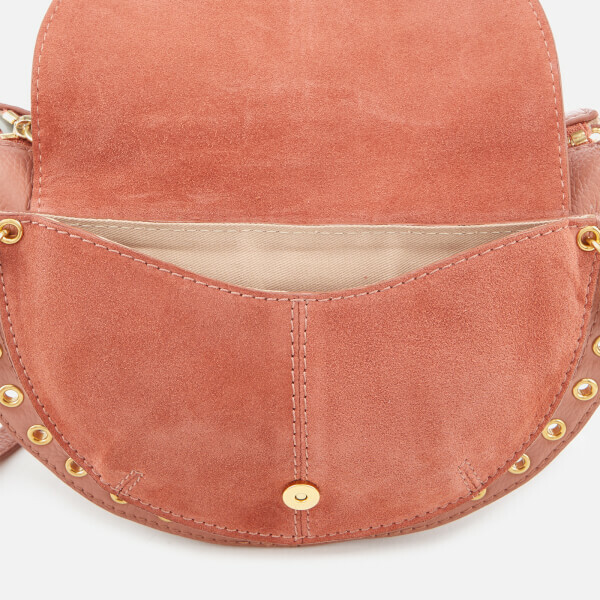 Women’s shoulder bag by See By Chloé. 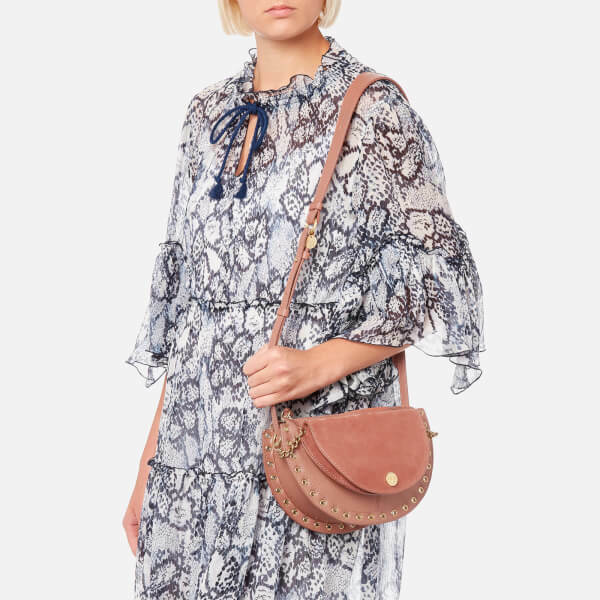 Crafted from soft grained leather in a semi-circle construction, the cross body bag comprises a top zip fastening that opens to reveal a fully-lined interior with a slip pocket. 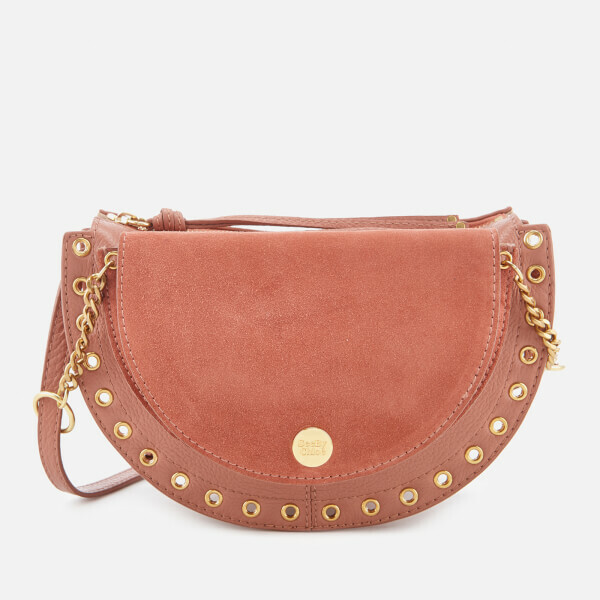 Transported via a long, adjustable shoulder strap, the bag features a suede, mag-dot secured flap pocket to the front. 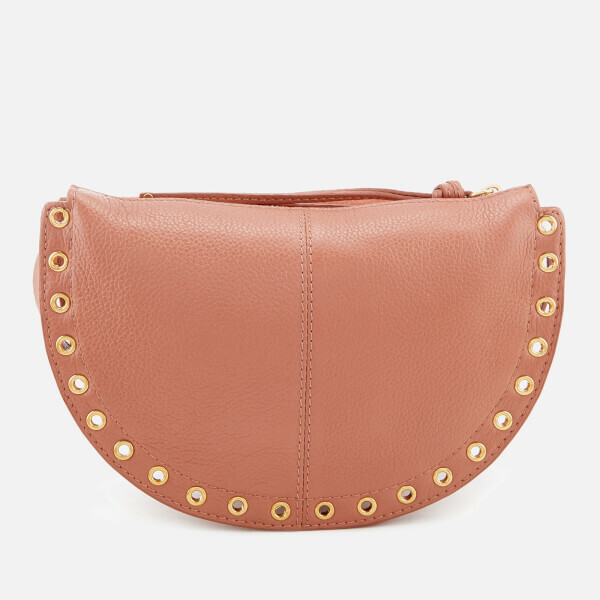 Accentuated with gold tone eyelet trimming detail. Finished with a brand engraved metal plate appliquéd to the front pocket.